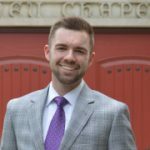 The Reverend Keith Turner serves as the John Wesley Minister and assistant chaplain, and assistant program director for the Lilly-funded summer youth theology institute, Open Table at the University of Evansville, a United Methodist college in Southern Indiana. He earned his Bachelor of Arts in Bible and Theology from Asbury University and his Master of Divinity degree from Asbury Theological Seminary and is a licensed pastor in the United Methodist Church. He is also a pianist, organist, and church musician. Are You Looking for a Refreshingly New Way to Fund Raise? As we near the end of the year and are talking with people about year-end charitable giving, Keith Turner has a message for all of us thinking about dollars and…sense! Have you made some really poor decisions in life? Did you mess up really badly? Keith Turner shares what the story of Samson has to teach us about mistakes and why God is not done with you yet! Do you want to be a true leader? Keith Turner explains why you might be looking in all the wrong places. Are you considering leaving what is familiar and stepping into the unknown to follow where the Spirit of God leads? Keith Turner shares wisdom about knowing when to step away.